The first generation Mitsubishi L300 was launched in 1968. 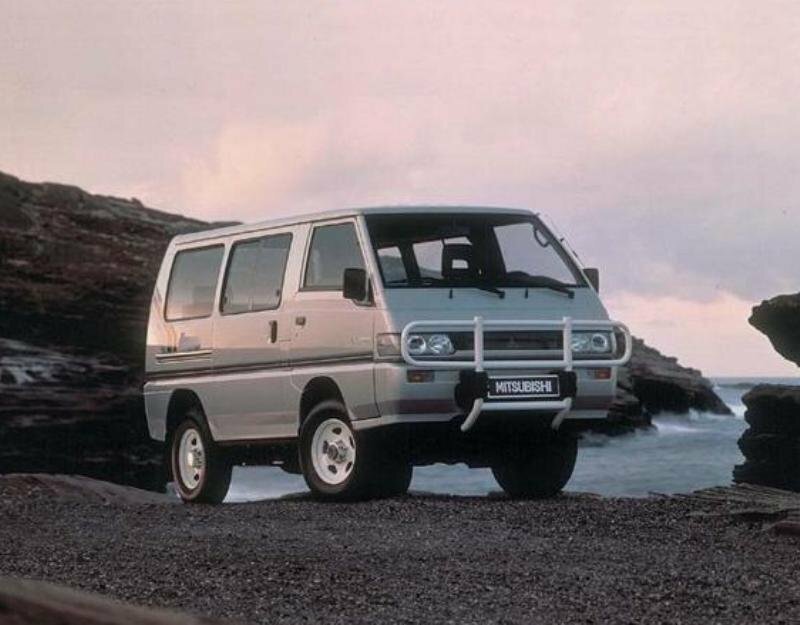 During its lifetime, the van was continuously improved and the fourth generation is around since 1996. 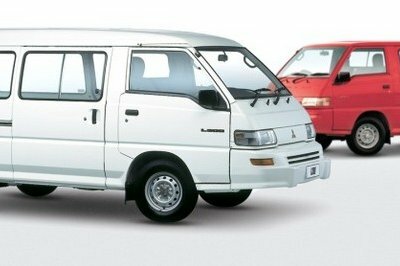 But, despite its numerous upgrades, the van still looks dated and the newer generations continue to keep the dusty air their predecessors. The vehicle has a payload capacity of up to 1000 kg and it’s powered by a reliable 2.4 liter petrol engine mated on a five speed manual gearbox. The latest L300 offers the choice of short or long wheel-base, a tiny turning circle and sliding doors on either side. Despite it dated looks, the fourth generation L300 continues to be sold on some emergent markets and its rugged character and low costs of ownership are highly appreciated by many drivers. The Mitsubishi L300 must have one of the oldest designs found on today’s markets. Its ancient style looks like it came back from time, but this doesn’t mean that the van is less practical than its modern rivals. The overall design has Japanese style written all over it and the windscreen has a raked angle which is also followed by the sloped bonnet. There is no front grille and there is only a small air intake mounted into the rugged bumper which makes the front end look pretty dull. The main lights have also a rudimentary design and underneath them there are placed the rectangular turning signals. However, the boxy shape of the vehicle gives it a very practical character and the L300 comes with a very generous load volume. The van also comes with sliding side doors and a wide opening rear door helping you to access the load area fairly easy. The driver is surrounded by a generous glass area which offers an excellent outside visibility. Access inside is made without too much drama as the doors have a fairly wide opening angle and the ground clearance is pretty low. The interior looks spartan and it’s by no means luxurious and not even comfortable. The bare bones cabin, betrays the utilitarian nature of the vehicle and the cheap materials and rock hard plastics abound all over the place. Though, the inhospitable cabin has its advantage as everything inside was build to last. There’s a hard-wearing vinyl floor in the back, while all the components that do the hard yards are built to take it without whining, like the doors or hinges. 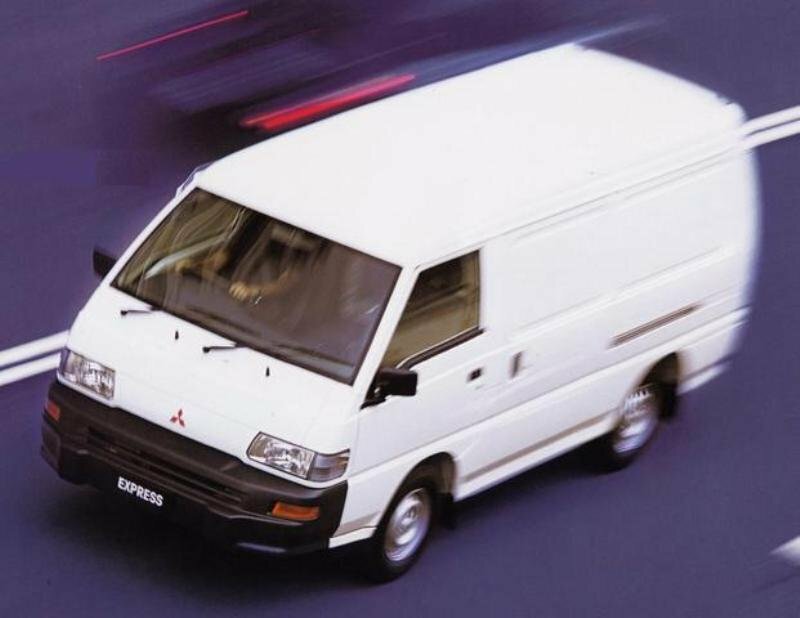 It will be harsh to judge the ergonomy of a utilitarian van launched back in the 90s, so we won’t go that far. Though, we’ll have to admit that most of the controls are placed pretty intuitively and can be reached without too much drama. The steering wheel it’s a bit too big for our tastes and its design is plain and simple without any fancy lines to bring it closer to the modern times. The driver gets a rock hard seat which offers a decent back support and also comes with a few adjustments to make your life on board less painful. Fortunately, the all-around visibility is nothing short of excellent and the A pillars are surprisingly thin. The L300 comes short on storage places which it’s a shame as its cavernous cab had a lot of potential. There is no secret that the Mitsubishi L300 isn’t the safest van you’ll find around, but it received a few common sense features such as side impact-resistant beams on the sliding doors to protect passengers and cargo. The chassis is built to withstand impact too, with Y-beams at the front engineered to absorb the energy of a collision. The vehicle is equipped with a 16 valves 2.4 liter petrol unit which is fairly reliable and has a maximum output of 97 hp @ 5500. It’s also offers a 192 Nm torque which is achieved at 2500 rpm which provides the necessary pulling power to help you deal well with heavy payloads. On road, the engine feels pretty quick and offers a decent punch permitting you to make overtaking maneuvers without too much fuss. The 16 valve unit is combined with Mitsubishi’s ECI Multipoint Injection which uses a computer to continually calculate the precise air/ fuel mixture to return proper fuel consumption regardless of what load is carried at the back. The petrol engine is married to a five speed manual gearbox which offers notchy shifts and isn’t as smooth as other units found in the segment. 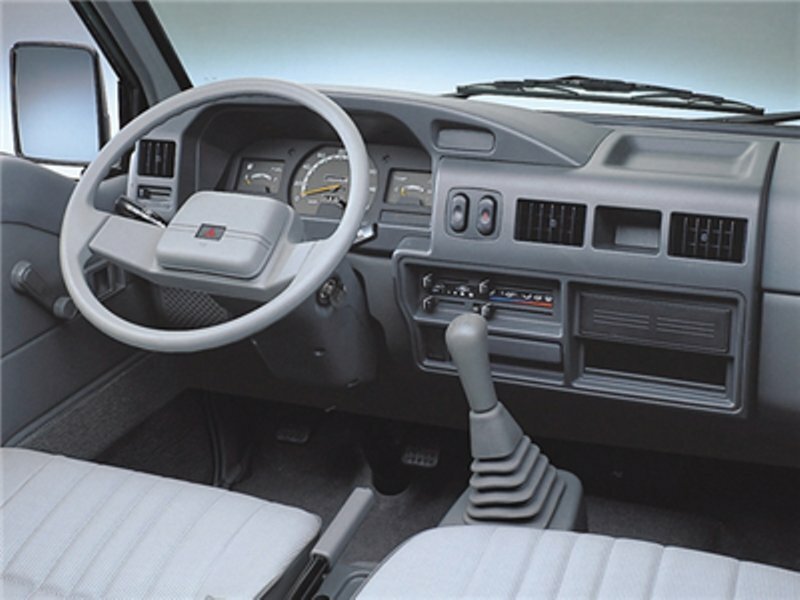 The gearshift isn’t mounted into the dash like it’s the case of modern vans, but its placed on a raised panel being fairly close to your hand. The vehicle was build to deal with heavy loads and it’s equipped with front independent wishbones and rear semi elliptical springs offering a pretty bouncy ride which gets better only when there is some load at the back. Due to the high ground clearance, body roll is present, but it’s nothing to worry about as the vehicle handles pretty well for its size and shape. The power steering is pretty accurate and offers decent feedback letting you know exactly what the wheels are planning. The Mitsubishi L300 continues to be the rudimentary work horse that has made it the favorite choice of those seeking an affordable van designed to get the job done without all the bells and whistles of its modern rivals. The vehicle’s simple mechanics make it easy to repair and its petrol engine it’s also pretty reliable, being able to churn out enough power to keep you satisfied. The ride and handling are far from being as refined as the ones found in modern vans but these aren’t the most wanted qualities in a commercial vehicle, so the target customer won’t complain too much about them. Mitsubishi L300 is equipped For smooth delivery of power, L300 features our easy-to-use 5-speed manual transmission. The gearshift sits on a raised panel so it’s closer to your hand. The gear ratios are exactly what a hard-working van needs to move loads and boot up to highway speeds.